Trivia Night | Junior League of Tucson, Inc. 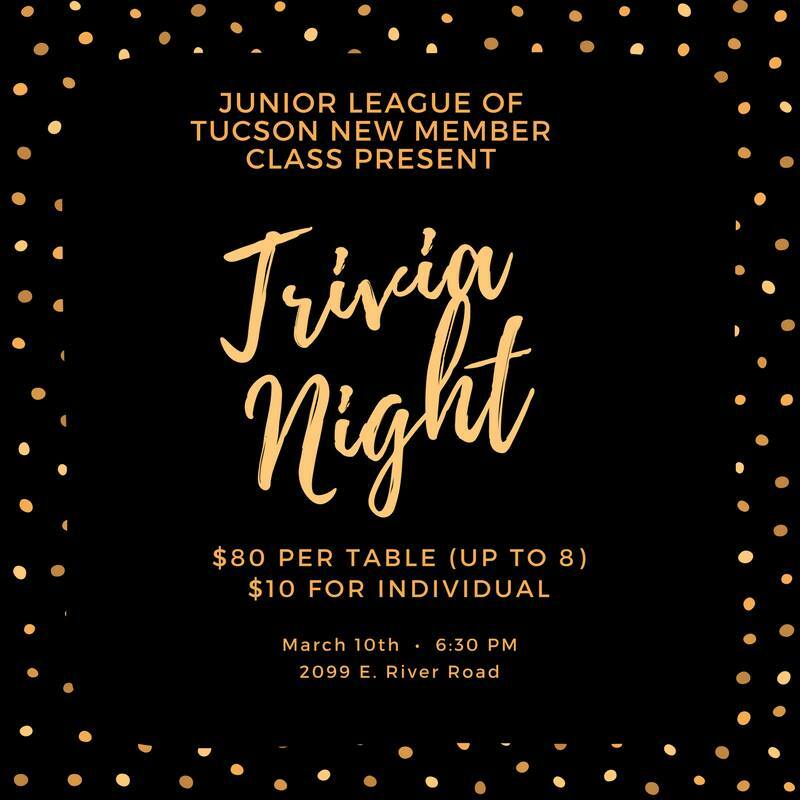 The Junior League of Tucson’s 2017-2018 New Member class invites you to attend Trivia Night! This event is for Junior League of Tucson members and friends age 21 and up to enjoy a fun night of trivia. Trivia Night will take place at the Junior League of Tucson’s facility located at 2099 E. River Road at 6:30 pm on March 10, 2018. Tickets are $10 each or $80 for a table (up to 8 people)! Buy tickets here. Learn more about the Junior League of Tucson and our upcoming events and ways to get involved at Trivia Night.